YOOX, established in 2000, is the world’s leading online lifestyle store for fashion, design & art. Thanks to long-standing direct relationships with designers, manufacturers and official retailers worldwide, YOOX offers an extensive assortment of hard-to-find clothing and accessories for men and women from the world’s most prestigious designers, a unique selection of home design objects, alongside exclusive collaborations with internationally-renowned artists, socially and environmentally responsible brands and kidswear. 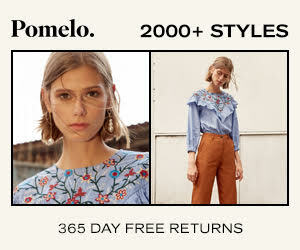 Shopping on YOOX is all about discovery– an eclectic and playful journey beyond fashion’s strict seasonal rules– allowing men and women to express their individuality through timeless and creative style.